It is some 20 odd days old story, that people were speculating over the fate of the oh-so-famous, in fact more of infamous, Land Acquisition (Amendment) Ordinance, which suffered from the 3rd failed attempt of the Centre to pass it as an Act. Thus, then the question was whether it will be promulgated for the fourth time. And it was almost 2 weeks ago, that there was sure clarity that the bill passed thrice as an ordinance already, would be seeing the end of its day (finally). But then for any prudent man, the question remains is, that if not this amendment bill, then what is next with regards the land acquisition laws in India. However, this article is aimed at providing the insight into the bumpy ride of developments which have taken place in the legal arena, with respect to the land acquisition law. 1894 – The Land Acquisition Act, 1894 was enacted with the object of acquiring land for public purposes and for companies. It had undergone numerous amendments, owing to wide scope of the term “public purpose”, forcible acquisitions, misuse of the “emergency clause” (S.17), low rate of compensation and absence of provision for rehabilitation and resettlement of people whose land was acquired, inter alia drawbacks. It is not long that the division bench of the Supreme Court consisting of HMJ R.M. Lodha and HMJ J.S. Khehar rebuked its inadequacy and expressed the need for a “fair, reasonable and rational enactment”, in line with Article 300A of the Constitution of India. 27.09.2013 – The Right to Fair Compensation and Transparency in Land Acquisition, Rehabilitation and Resettlement Act, 2013, the unified legislation on acquisition, rehabilitation and resettlement, whose retrospective nature eliminated the drawbacks of the 1894 Act, was published in the Gazette of India. It introduced special provisions for the Scheduled Castes/Tribes and for safeguarding food security. Some jurists opined that its pro-poor and pro-peasant rhetoric i.e. by means of the provision for social impact assessment (SIA) for all types of projects, prior to acquisition, had sidelined its purpose of expediting land acquisition, thus bringing industrialisation to a standstill. Furthermore the S.105 provided for the Government to make amends within a year of the Act’s commencement by means of a notification in the Parliament, so as to apply those provisions to the thirteen exempted laws, placed in the Fourth Schedule, providing for land acquisition. 31.12.2014 – Since its notification was disapproved, the Government passed the Right to Fair Compensation and Transparency in Land Acquisition, Rehabilitation and Resettlement (Amendment) Ordinance, 2014 (Land Ordinance, 2014), last minute, entitling the farmers to higher compensation, if acquisition is under the exempted laws, thus safeguarding their interest. It exempted five projects which encourage industrialisation and urbanisation from consent and SIA and replaced “private companies” with “private entities” so as to include NGOs, trusts, etc., in a way reinstating eminent domain, with a view that development and justice coexist. 03.04.2015 – The Centre failed to replace the ordinance with a law, the ordinance was promulgated for the second time. 30.05.2015 – Yet again as the Ordinance could not be converted into law, during the budget Session, President Pranab Mukherjee gave his assent to promulgate it for the second time. 13.08.2015 – The monsoon session, which was clouded by sheer politics and dirty play, ends amidst the talks of reconvening. This as stated by him, was, apparently, to not give anybody an opportunity to mislead the farmers, in whose mind, a certain kind of fear had been inculcated. However he did not fail to stress upon the need for the incorporation of the 13 exempted laws and the need for amendment which would mean making drains for irrigation, installing of poles for electricity, building village roads and housing for rural poor, generation employment for rural youth and freeing them from the clutches. But conclusively he said that the welfare of farmers was more important to him and thus he had decided to let the ordinance lapse. With the brief facts states, I intend concluding. But before I do that, I have a little insight of my own to share with regards to the status quo and future status of land acquisition. In my opinion, with the lapsing of the amendment though some may see it as a victory, there are several people who are going to unemployed in an economy burgeoning with unemployment, but the flipside is that there shall be no relaxation with respect to consent. However, both sides present a dilemma in which one has to choose either farmer welfare or economic development, which is a little thing to ponder over. An extremely fancy and complicated name. The said act is more commonly known as the Land Acquisition Act, 2013. 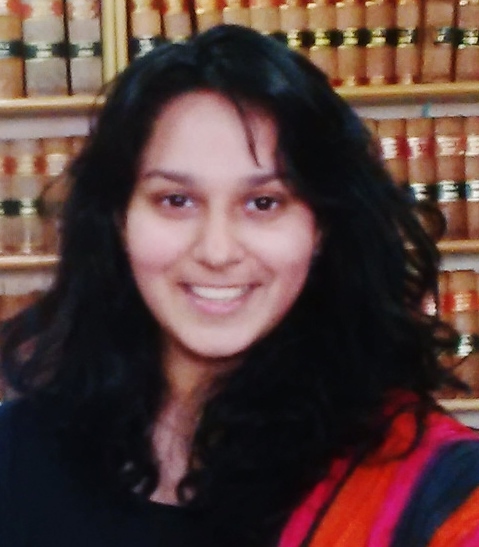 Saranya is currently pursuing law at ILS Law College, Pune. She is extremely active in extra-curricular activities, is part of her college student council and has tried hands at almost everything, from organising of seminar to presenting at one, from moots to legal aids. She has a knack for writing, and writes on contemporary issues with a commitment to drive away the mob mentality.